The iconic Dr. Martens brand turns 50 this year and Doc Martens have certainly made a big impact on the fashion industry. 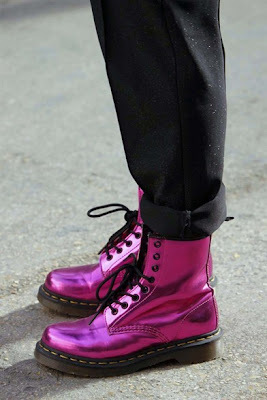 Originally associated with the 1980s British punk scene, today Doc Martens are worn by everyone from judges and nurses, to models and celebrities. There are over 250 different models of Doc Martens and the brand seems to be growing, with over 100 million pairs of Doc Martens sold to date. I still do not own a pair of these (tragic!) but, I am searching for them. Long live Docs!